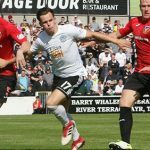 As a proud sponsor of Scottish first division football club Ayr United, dipping into his own pockets to provide the club with the readies to make a proper go of it – there’s no doubt Calvin Ayre will be keyed up for victory on Saturday; the day that marks the Communities League Cup semi-final. Yep, we’re less than a week away from when The Honest Men are set to go head-to-head with local arch-rivals Kilmarnock at Hampden Park. So, as we build up to the big game, preparing ourselves for what will undeniably be the match of the weekend, we’re going to need a little help; something to get us psyched up, ready and yelling “bring it on!”. 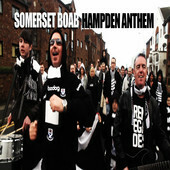 Well, what better way than a good old footy chant to a tune made especially for Ayr United by a mystery fan named Somerset Boab. 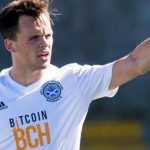 As an all singing, all jumping-about-like-a-madman Ayr United fan, Boab has taken the internet by storm and is set to burst into the charts with his loyal soccer song. That’s not the best of it, though. 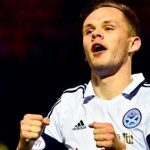 He’s also pledged to hand over every penny he earns from the song to the club, a team he has supported since he was a wee nipper. With almost 100,000 hits from across the globe – it’s only right we too show our support and download the track to get right behind the boys when they need it the most – in the run up for the cup. Visit the iTune store to download “Hampden Anthem” now, crack open a beer, get some footie on and sing your heart out with the best Scottish accent you can do. Come on Honest Men!